Do you intend to add a new Echo Show device to your home or have you already gotten one? Are you looking for simple ways to set up and customize your device? Have you bought other user guides on how to manage the device but became confused due to the fluffy, jargon-filled information compiled therein? Do you wish to add more spices and flavors to your smart home? Do you have any other Amazon Echo devices (Tap, Dot, Plus, Look, etc.)? If you answered yes to any of these questions, then congratulations! This user manual is definitely for you. 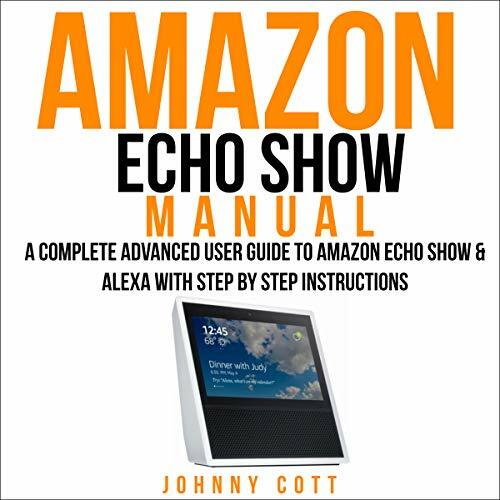 Amazon Echo Show Manual has been designed with specific step-by-step instructions that are easy to understand. It contains basic information with amazing tricks and tips that will enable you become a pro within 60 minutes. Manage your shopping/to-do lists, calendar, etc. What are you waiting for? Pick your copy today. Just tap on the "Buy Now" button and you’re good to go. Download and enjoy a world of unlimited entertainment.